Linda’s show is titled “In the Sandbox” and includes both oil and acrylic paintings and printmaking. www.lindabatchelor.com. 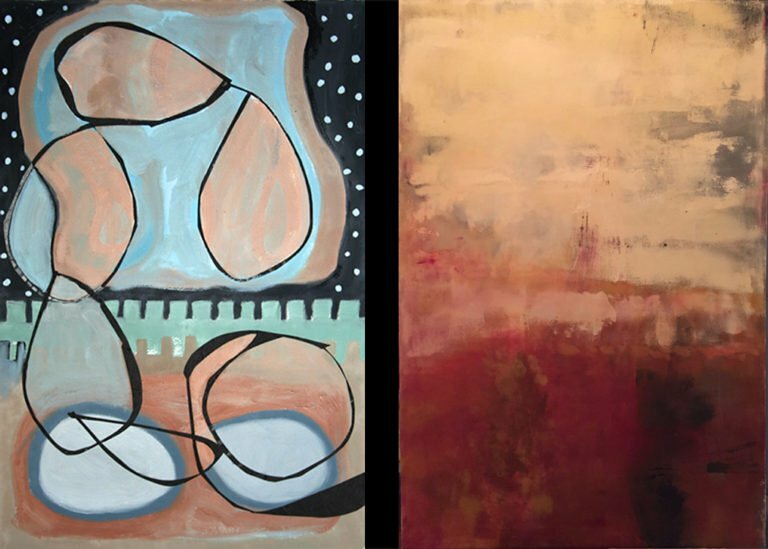 Cathy’s is a show of abstract paintings titled “Transitions”. For more information please see www.oxbowgallery.org.